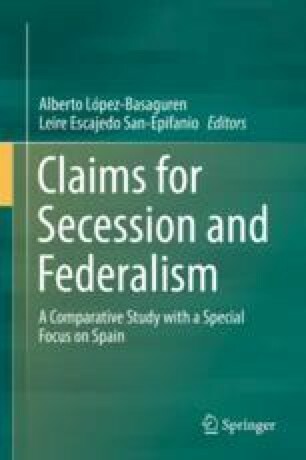 From a political point of view, secession is compatible with federalism as the corresponding right to enter in a Federation. From a legal point of view, it has to be provided by the federal constitution, a legal rule or by case law. But it is very unusual or complicated to contemplate secession. Then, the problem is “How to legally anticipate and allow secession?”. This leads to various debates about the potential possibility of allowing secession in a federal constitution. However this debate and the constitutionalization of secession can be avoided by considering that federalism never attains any stability in every ratio of power (federal/state or regional government, centralization/decentralization of power, etc.). Admitting that there is always imbalance, leaving room for manœuvre in restricting the amount of constitutional rules and, as a consequence, granting autonomy to the federal members. So, every Federation has to be organized by means of federative tools (like subsidiarity, distribution of powers, autonomy, etc. in a specific legal or constitutional way), which means instruments adapted and adaptable to every situation at every time. In such a view, these federative tools would be the occasion to contemplate secession in some conditions (more) adapted for the federal and the regional forces. The regional force could benefit from such autonomy (not limited by the federal constitution) and the federal government could have a clear legal framework to organize and contemplate negotiations with the regional force.